Purpose Start-ups and small and medium-sized enterprises (SMEs) face a liability of smallness (Bruderl and Schussler, 1990) associated with a limited resource endowment. Entrepreneurs often turn to their social networks for overcoming this liability. Therefore it is important to understand how entrepreneurs categorize their relational embeddedness in a network and how actors in entrepreneurial networks grant access to resources. The motivation behind this research is to shed further light on entrepreneurial network management processes. 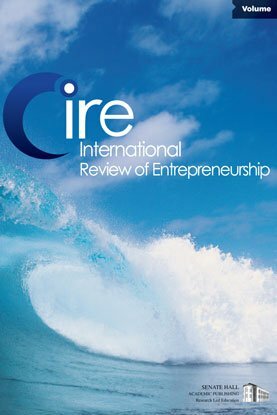 Thus, investigating actors of strategic importance for entrepreneurial ventures highlights how entrepreneurs secure resource access from social networks. Design/methodology/approach A qualitative approach is adopted for this investigation using an interview guideline containing open-ended questions. The transcribed interviews were analysed applying the qualitative method GABEK (GAnzheitliche BEwältigung von Komplexität – holistic processing of complexity). GABEK is based on philosophical theories about understanding, explaining, learning, and the perception of Gestalten (Zelger, 1999). Findings The entrepreneurs testify to a number of different network partners who provide them with the appropriate resources they need for their business activities. The network itself and the process of networking play key roles through which entrepreneurs mainly access advice, information, knowledge and expertise, as well as backup in the form of business contacts, finances, or emotional support. Stronger ties are created with people they are familiar with and with closer customers, experts, and representatives of diverse institutions who have specific expertise. For the entrepreneurs trust plays a central role and is strongly related to the intensity of personal relationships. They primarily trust based on the experiences and word-of-mouth recommendations of their network partners. Research limitations/implications The research delivers a deeper insight into the understanding of entrepreneurial network management processes. Because of the qualitative nature of the study, it allows no generalization. Additionally, the interviewee selection may have an influence on the results, as the majority of businesses are SMEs. Important implications can be drawn for entrepreneurs, economic policy actors, and network managers and their institutions about the role of networks, how networks work and how entrepreneurs use them for business activity. The research results have shown that trust-creating initiatives are of utmost relevance to fostering successful business networks.